So what’s it like to paint like a child? To find this out Lorimer turned to a very gifted young boy named Hudson Evans. Hudson is Lorimer’s (then) five year old grandson who lives within the spectrum of Autism. 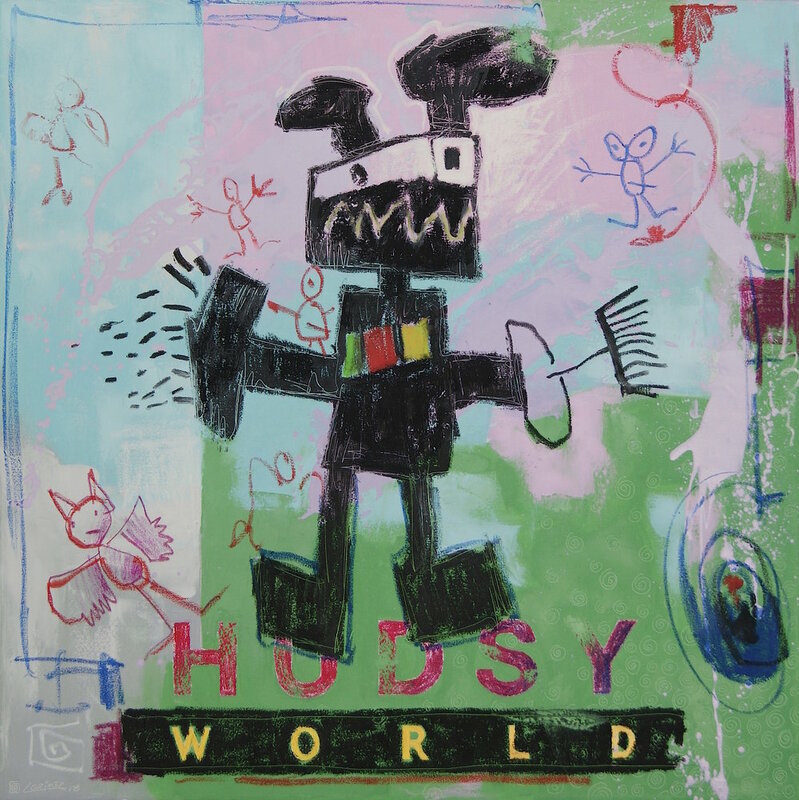 Hudson created a fictional universe called Hudsy World where colourful characters like Cleaning Robot, Chatterer, Mooee, Bat Beast and Tamey the Tamable Wolf reside. Using Hudson's drawings of these characters as his subject, Lorimer set out to put Picasso’s words to the test. The result is a series of work that presented Lorimer with an unexpected gift, a porthole into the landscape of neurodiversity and the opportunity to forge a unique bond between grandfather and grandson. 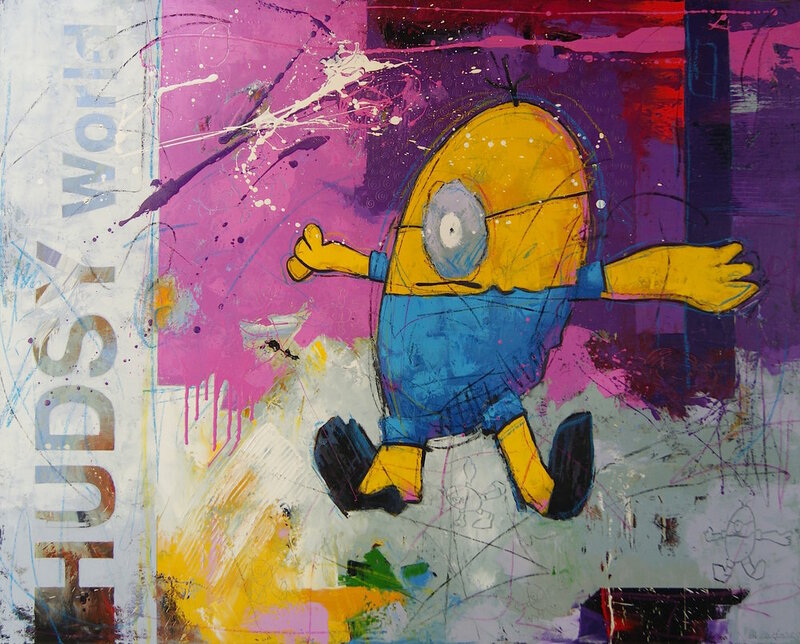 Project is currently being presented at Lorimer Gallery, Artspace Oakville and Liss Gallery.